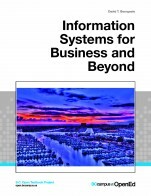 This text is intended for a first course in Intermediate Financial Accounting. It presumes that students have already completed one or two Introductory Financial Accounting courses. The book reflects current International Financial Reporting Standards (IFRS), such as IFRS 15 - Revenue from Contracts With Customers. It focuses on more difficult intermediate accounting topics that match prerequisite requirements for students advancing to a second level Intermediate Financial Accounting course. Advanced topics that are covered in Advanced Financial Accounting courses, such as consolidations and foreign exchange, are not included here. 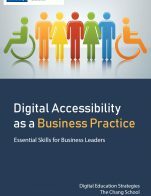 The text is written with an approachable style that focuses on key concepts that will be relevant to students' future careers as accountants. 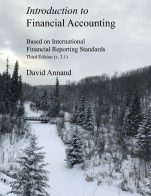 The book provides a review of Introductory Accounting concepts and covers all topics essential to a first level Intermediate Accounting course: the conceptual framework and current landscape of financial reporting; statements of financial position, comprehensive income, cash flows and shareholders' equity; cash and receivables; revenue; inventory; property plant and equipment; intangible assets; and intercorporate investments. 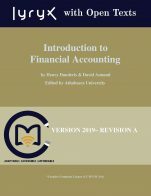 The Intermediate Financial Accounting cover by Lyryx (lyryx.com) is under a CC BY license (https://creativecommons.org/licenses/by/4.0/). 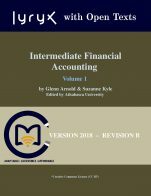 Intermediate Financial Accounting - Volume 1 (Lyryx) by Glenn Arnold, Suzanne Kyle, Athabasca University, Lyryx Learning Team is licensed under a Creative Commons Attribution 4.0 International License, except where otherwise noted.